Walking with Jesus: Romans, Day 37: Romans 13:8-14 - Are Believers in Debt and Under Obligation? Romans, Day 37: Romans 13:8-14 - Are Believers in Debt and Under Obligation? Are Believers in Debt and Under Obligation? Some debts can never be repaid. For most of us, the amount of time, effort, love and sacrifice our parents invested in us when they were raising us is something we could never repay them. In a sense, we "pay it forward" when we have children. But having children also shows us so much about what it means to truly love that very few think of it as a "paying forward" or as any kind of debt at all. The love God has poured out into our lives through the saving work of Jesus Christ is a debt that can never be re-paid. It is the supreme gift of love, and it sets us free from sin, death, curse, guilt, shame, rejection and condemnation. Having been set free by God's love and the perfect sacrifice, life and righteousness of Jesus, what remains for believers? We have already seen that we are to live as a living sacrifice to God's glory, which is our reasonable worship. We have also seen that living this out in practice involves true and life-changing love and requires abiding in God through constant prayer. 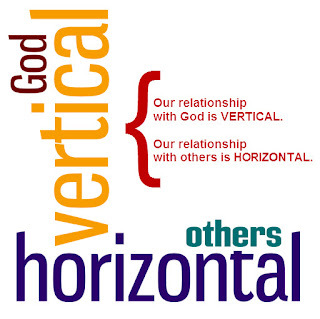 The focus of Romans 12 was on our response to God, on the vertical relationship plane, if you will. The focus in Romans 13 seems to be more horizontal, looking at our relationships with other people in the world. Beginning with our relationship to government, this section of Paul's letter is fleshing out how we relate to other people as redeemed children of God, as living sacrifices. So, as Christians, do we owe other people anything? We need to pay our taxes and respect those in authority, but do we stand in debt to people in some way? Yes, and no. Our salvation does not depend on other people, but wholly on God's grace and love. Yet we are obligated. We remain indebted to love others always. Love remains an outstanding debt that can never be fully repaid because we have received such an abundance from God. Paul says that love is the fulfillment of the Law. In saying this, he is focused on the second table of the law, the commands regarding how we treat others, commandments 6-10. In other words, loving others fulfills the horizontal obligation of the Law. So, if our only obligation toward others is to love them, does this mean we're free to indulge in sexual immorality and drunkenness and other immoral behaviors. After all, as long as I'm not hurting anyone, what's the big deal? Aren't we free from the Law and free to live as we please? No! Such self-indulgent, immoral thinking belongs to the darkness and not to God's light. We have been rescued from the darkness. God has brought us into His light. For us now, our freedom is a freedom to love others and to live as children of light. So, Paul concludes, "put on the Lord Jesus Christ, and make no provision for the flesh, to gratify its desires."